Beverly Hills, CA – “Born Sweet” and “Enemies of the People” will screen as the next installment in the Academy of Motion Picture Arts and Sciences’ 30th annual “Contemporary Documentaries” series on Wednesday, November 9, at 7 p.m. at the Linwood Dunn Theater in Hollywood. Admission to all screenings in the series is free. Directed and produced by Cynthia Wade, “Born Sweet” follows Vinh, a 15-year-old boy as he contends with severe arsenic poisoning in a small Cambodian village, but uses karaoke to keep his spirit alive. For Cambodian journalist Thet Sambath, who directed and produced “Enemies of the People” with Rob Lemkin, the terror his country endured under the Khmer Rouge struck close to home with the deaths of friends and family members. Beverly Hills, CA – The Academy of Motion Picture Arts and Sciences will present a rare look at the films of French comedian Pierre Étaix in its latest installment of the Jack Oakie Celebration of Comedy in Film, on Wednesday, November 16, at 7:30 p.m. at the Samuel Goldwyn Theater in Beverly Hills. 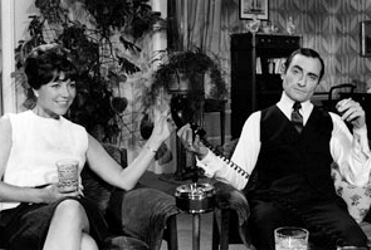 Hosted by film critic Leonard Maltin, “Pierre Étaix: The Laughter Returns” will feature Étaix in person followed by screenings of “Le Grand Amour” (“The Great Love,” 1969) and the Oscar®-winning short “Heureux Anniversaire” (Happy Anniversary, 1962) from new restorations. 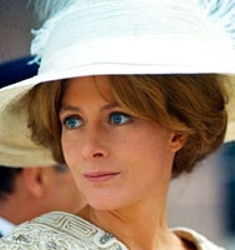 Beverly Hills, CA – The Academy of Motion Picture Arts and Sciences will celebrate the career of Oscar®-winner Vanessa Redgrave with its first-ever European tribute to an actor, on Sunday, November 13, in London. The event, hosted by David Hare, will include special guests Meryl Streep, Ralph Fiennes, Joely Richardson, James Earl Jones and Eileen Atkins. Past Academy President Sid Ganis will introduce the evening. The salute will explore Redgrave’s dramatic range and exquisite skill. Hare has created three film sequences, each with its own narrative, showing the depth and array of characters that Redgrave has inhabited. A member of the distinguished Redgrave acting family, Vanessa rose to prominence in 1961, playing Rosalind in As You Like It with the Royal Shakespeare Company. Beverly Hills, CA – Melissa Watkins Trueblood has been named talent producer for the 84th Academy Awards, telecast producers Brett Ratner and Don Mischer announced today. This will be her first association with the Oscar telecast. In addition, Danette Herman has signed on to consult for the 84th and 85th shows. Her other credits include the American Music Awards, the Golden Globe® Awards, the People’s Choice Awards and the World Music Awards. Beverly Hills, CA – Contemporary documentarians will explore the rapidly-changing landscape and increasing profile of documentary film making in “The Rise of Nonfiction Movies,” the latest installment of Academy of Motion Picture Arts and Sciences’ John Huston Lecture series, on Wednesday, October 26, at 7:30 p.m. at the Samuel Goldwyn Theater in Beverly Hills. The evening will be moderated by R.J. Cutler, producer-director of “The September Issue” (2009) and producer of “The War Room” (1993). While information may be spreading faster and distribution choices are evolving at a dizzying pace, non-fiction filmmakers continue to find cutting-edge solutions and storytelling forms to prove that truth is often better than fiction. Beverly Hills, CA – The Academy of Motion Picture Arts and Sciences’ Monday Nights with Oscar® will present “Giant” on Monday, September 12, at 7 p.m. at the Academy Theater at Lighthouse International in New York City. The evening will also feature actress Carroll Baker and historian Foster Hirsch in an onstage discussion about the making of “Giant” and working with George Stevens. In the 1956 film adaptation of the novel by Edna Ferber, screenwriters Fred Guiol and Ivan Moffatt bring to life the saga of a family of Texas ranchers headed by Jordan “Bick” Benedict (Rock Hudson) and his wife, Maryland socialite Leslie Lynnton (Elizabeth Taylor). 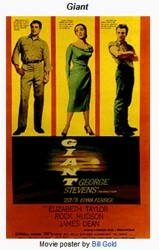 Spanning several decades, Stevens’ “Giant” is drama on a grand scale, confronting themes of family expectations, class warfare, alcoholism, discrimination against Mexican Americans, and how the oil industry transformed a generation of Texas ranchers into super-rich oil barons. 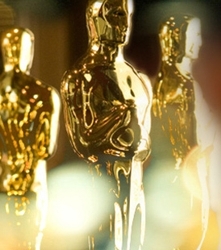 Beverly Hills, CA – The Scientific and Technical Awards Committee of the Academy of Motion Picture Arts and Sciences announced today that nine scientific and technical achievements have been selected for further awards consideration. The list is made public to allow individuals and companies with similar devices or claims of prior art the opportunity to submit their achievements for review. The deadline to submit additional entries is Tuesday, August 30, at 11:59 p.m. PST. Beverly Hills, CA – The Academy of Motion Picture Arts and Sciences will present “A Trip to the Moon” (1902) on Tuesday, September 6, at 7:30 p.m. at the Academy’s Samuel Goldwyn Theater in Beverly Hills. This historic touchstone film by Georges Méliès’s will be screened in its original hand-colored version direct from its re-premiere at the Cannes Film Festival this May. An original color print of “A Trip to the Moon” was recently discovered in poor condition and underwent delicate work to rescue and digitize the elements. The restoration was carried out by Lobster Films, the Groupama Gan Foundation for Cinema and the Technicolor Foundation for Cinema Heritage, and took place at Technicolor Los Angeles. The French band Air composed an original soundtrack to accompany the film. The program will be introduced by film historian and archivist Serge Bromberg of Lobster Films and Tom Burton, head of the preservation department at Technicolor Los Angeles. A newly restored print of “A Trip down Market Street” (1906), recorded by the Miles Bros. of San Francisco days before the famed earthquake leveled the city, along with rare primitive films such as 3D versions of early Méliès films and turn-of-the century attempts at sound films, will round out the evening’s screenings. “A Trip down Market Street” source elements are courtesy of Rick Prelinger, the Library of Congress. Tickets to “A Trip to the Moon” are $5 for the general public and $3 for Academy members and students with a valid ID. Tickets may be purchased online at www.oscars.org, at the Academy box office (8949 Wilshire Boulevard, Monday through Friday, 9 a.m. to 5 p.m.), or by mail. The Samuel Goldwyn Theater is located at the 8949 Wilshire Boulevard in Beverly Hills. 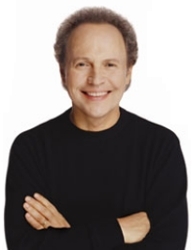 Doors will open at 6:30 p.m. For more information call (310) 247-3600 or visit www.oscars.org. The Academy of Motion Picture Arts and Sciences is the world’s preeminent movie-related organization, with a membership of more than 6,000 of the most accomplished men and women working in cinema. 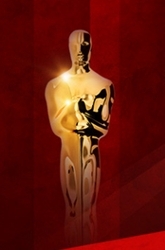 In addition to the annual Academy Awards – in which the members vote to select the nominees and winners – the Academy presents a diverse year-round slate of public programs, exhibitions and events; provides financial support to a wide range of other movie-related organizations and endeavors; acts as a neutral advocate in the advancement of motion picture technology; and, through its Margaret Herrick Library and Academy Film Archive, collects, preserves, restores and provides access to movies and items related to their history. Through these and other activities the Academy serves students, historians, the entertainment industry and people everywhere who love movies. Beverly Hills, CA – Tom Sherak was re-elected president of the Academy of Motion Picture Arts and Sciences tonight (August 2) by the organization’s Board of Governors. This will be his third consecutive one-year term in the office. Sherak is beginning his ninth year as a governor representing the Executives Branch. 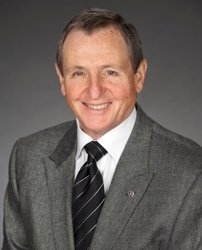 He had previously also served as treasurer for the Academy. In addition, Producers Branch governor Hawk Koch was elected first vice president; Executives Branch governor Robert Rehme was elected to one vice president post and Writers Branch governor Phil Robinson was re-elected to the other vice president post; Short Films and Feature Animation Branch governor John Lasseter was elected treasurer; and Actors Branch governor Annette Bening was re-elected secretary. Sherak, a marketing, distribution and production executive with more than four decades of experience in the motion picture industry, is currently a consultant for Skydance Productions and Relativity Media.